Compact size, lightweight, and balanced construction. Easy to carry and install. Energy savings: 15% to 25% less than ten (10) 100-watt Incandescent Lamps. 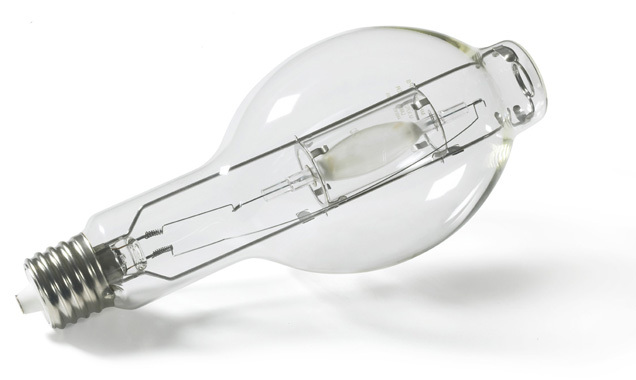 Lumen output: 52% more effective than ten (10) 100-watt Incandescent Lamps. Pre-wired for 120V operation. CWA Multi-tap Ballast can be easily re-configured for 208V, 240V or 277V applications. Minimal relamping! Average rated lamp life for a Type-O Metal Halide Lamp is 10,000+ hours compared to 1,000 hours for a standard 100-watt Incandescent Lamp. 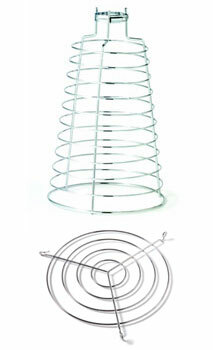 A cost-effective solution to incandescent string lighting. Improved cold weather starting performance. Pre-wired at the factory for 120V operation. The multi-tap ballast can be re-configured for 208V, 240V, or 277V applications. Improved efficacy (up to 45% more lumens per watt). Improved lumen maintenance ( up to 25%). Reduced color shift - more consistent lamp-to-lamp color. 15,000+ hours lamp life - up to 30% improvement over traditional probe-start luminaires. Superior color rendering and light stability.